Over the weekend I talked to Andy Hoffman, Bill Holter and my old buddy Jim Cook at Investment Rarities. I checked out all of my “sources” to see what they had to say about Friday’s planned assault on all of the precious metals. I gave a great deal of thought to how our readers and clients would react. There is a Tsunami of negativity out there now, starting with Goldman Sachs, Paul Krugman and even from within our own industry from people who use technical analysis, like Larry Edelson. How would our clients react? Well, I can tell you this much – we received only a couple of sarcastic e-mails. We did more business on Friday that I can ever remember us doing in a day – not just the volume, but the sheer number of orders we received. Our staff was so busy fielding incoming calls to place orders that they hardly had time to make any outcalls. This was true throughout the industry and even up in Canada, according to Ed Steer. Silver dropped around $3 since March 20th. It was smashed $1.81 on Friday alone. But guess what – the premiums on junk silver rose over $3.00 last week and increased over a buck on Friday alone (please call your broker at Miles Franklin for current availability; Junk Silver not available as of 4/12/2013). There is the paper price and the physical price. The lower the Comex price goes, the larger the disconnect. In other words, the price of the real physical metal increased as much as the price was taken down on the Comex. This reminds me of 2008 when silver dropped to $9.00 on the Comex but if you wanted to buy real physical silver, you paid between $15 and $19 an ounce. At first, I was very upset that all of our usual sources were caught by surprise on Friday. We all thought this couldn’t happen. Well, it happened. The dollar, the debt and the economy may be on the verge of something bad, but it is not making a positive impact on the “paper” price of gold and silver – not yet. It could be a while and from a lower base before things turn – or not. I believe Jim Sinclair that the eastern central banks (especially China and Russia) can turn this around, but then again, why would they? If they just sit passively on the sidelines, and let the prices fall a bit more, they can buy for less. That is logical, but according to Andy Maguire, a huge amount of physical gold moved to them from London, early on Friday. It would appear that Jim Sinclair’s “sense” of the market didn’t exactly work the way he thought it would. I am not singling out Sinclair. I think his work is terrific. He has not lost credibility with me at all. If I had to bet my own money, I would bet that the takedown this week was orchestrated precisely because he said the bottom is in. They could have done this at any time, so why pick last Friday? There was no event to trigger this. It was not critical that the manipulated takedown happen on Friday. But Friday was the day that Sinclair held a Q & A meeting with a few hundred CIGAS in Toronto. What better time to discredit him than the very day he is holding his meeting. This is a different world than the one he flourished in, in the 70s. The markets are far more manipulated now; there are more paper vehicles to direct funds away from the physicals (ETFs), there are much larger pools of money involved in the swings (hedge funds). 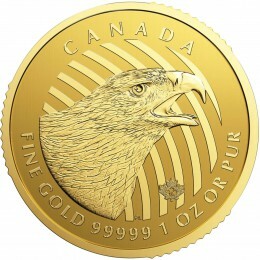 Sinclair said the markets would get volatile, with swings in gold’s price of $100/day. I have yet to see the SWINGS – just the downdrafts. But he absolutely understands the big picture and where this is headed and why. In a market with less manipulation, he probably would be right, with his timing. But why would the Fed and JPM “allow” him to be right with his timing. He is getting too big a following now and he is no longer beneath the radar. I hope that our readers are less concerned with the “price” and stay focused on the reasons why this happened and why it is meaningless. Lately, watching gold bounce between $1,550 and $1,580 has been like watching paint dry or grass grow. Pretty dull and boring. But the last few days changed all of that. You all know what happened on Friday. What caused the dramatic fall, on the (paper) Comex? What conclusions can we come to after what happened? As for the cause – it was plain and simple, a deliberate planned assault on all of the precious metals with one purpose in mind – to smash the price. When you consider that the total amount of gold mined in a year is somewhere in the neighborhood of 2,400 tonnes, it is startling that nearly 20% of one year’s production would be dumped in a few hours. What was done, and why now? There are a couple of theories here – First, the confiscation of depositor’s assets in Cyprus last week was a preview of the way governments intend to deal with their debt problems. They intend to take YOUR money! Cyprus was just a “test run” but it is now clear that all of our paper assets, in banks, pension plans and IRAs are just a keystroke away from being taken from us. To keep people in these paper investments, the Fed helped orchestrate a takedown of all the precious metals to discourage investors from moving their paper into the safety of hard assets. Is that really what happened? It makes sense. Take a look at how the precious metals fared on Friday. Gold dropped 5.38%; Silver was down 6.54%; Platinum down 3.07% and palladium down 3.42%. This was a one-day drop with no event or headline to precipitate it. Another explanation is that this engineered takedown was an effort by JPMorgan, HSBC and friends to force the technical funds, who are very short, to sell in order for the large Commercials to cover their remaining large short positions. They do this to make a profit but also, it was necessary to get them out of the huge short position they accumulated as gold and silver (and platinum and palladium) drifted lower, since last fall. JPMorgan and the small Commercials (the insiders) are now more “long” than at any time in memory. The large Commercials are nearly always right. They are dumping their shorts and going long as the Speculators, the technical funds move heavily short. This will not bode well for them. Just since the cross (today) of $1,550 into the (London) fix and the breach of $1,500, we are now looking at in excess of 500 tons of paper gold that’s been sold. Deliveries in Shanghai alone in March were 283 tons. In the eight trading days of April, we have seen another 117 tons (of gold) delivered. Today was another 20 tons delivered. So what we are looking at here is over 400 tons (of gold) in less than a month and a half. This is JUST the Shanghai market. Imagine how much gold has changed hands in all of the other markets. The markets are acting crazy now and the short-term moves are not motivated by rational thinking. The one thing I do know is that there is no rational reason for anyone to sell gold and silver now, at these prices with troubling scenarios lurking just beneath the surface in Europe, Asia and the Middle East and the dollar, the euro and the yen in the midst of massive QE paper currency creation. This has the looks of the final blow-off. The gold market bottoms the minute that China and Russia decides it does, and no chart can tell you that. Whistleblower Andrew Maguire told King World News that more than a stunning 500 tons of paper gold has been sold in today’s takedown in the gold market. Maguire also spoke to KWN about the staggering Chinese physical gold purchases. Below is what Maguire had to say in this remarkable and exclusive interview. Maguire: “Just since the cross (today) of $1,550 into the (London) fix and the breach of $1,500, we are now looking at in excess of 500 tons of paper gold that’s been sold…. On the heels of a cascade of selling in gold and silver, today whistleblower Andrew Maguire spoke with King World News about the extraordinary intervention which took place in both of these markets. Maguire also told KWN about the staggering amount of physical gold tonnage that Eastern central banks were attempting to buy today alone, in a market that, remarkably, is not seeing any supply. Below is what Maguire had to say in part II of his powerful and exclusive interview. Maguire: “It’s pure short selling in the paper market, and the focus of all of this all is to reach and target as many long-stops as possible which they have done this afternoon. Then they can obviously cover these paper short sales. Today a former Assistant Secretary of the US Treasury told King World News that the smash in gold and silver today was entirely orchestrated by the Federal Reserve. Former Assistant of the US Treasury, Dr. Paul Craig Roberts, also warned KWN that stocks of available physical gold are “rapidly declining.” Below is what Dr. Roberts had to say in this extraordinary and exclusive interview. Dr. Roberts: “This is an orchestration (the smash in gold). It’s been going on now from the beginning of April. Brokerage houses told their individual clients the word was out that hedge funds and institutional investors were going to be dumping gold and that they should get out in advance. Then, a couple of days ago, Goldman Sachs announced there would be further departures from gold. So what they are trying to do is scare the individual investor out of bullion. Clearly there is something desperate going on…. What we are seeing here is The Gold Cartel’s scorched earth policy that began in the first week of last October. As mentioned a zillion times here, the DAILY intensity of their efforts to orchestrate the prices of gold and silver down is like nothing I have ever seen since starting this commentary in September of 1998. The scenario for the gold and silver prices to move higher since then could not be more bullish. But, in the gold world Black is White and White is Black. It’s because the reasons for gold to move higher are so blatantly obvious, The Gold Cartel is compelled to destroy the price and deflect interest in the implications of what the Fed and other governments are doing in the monetary arena in a NO SOLUTION environment. Their efforts to demoralize the precious metals sector are more than working. It has led to one commentary after another that the 12-year bull market in gold is over. The likes of Richard Russell and others are exclaiming that if the price of gold breaks $1520 (which it just did), it is going to collapse. Are they right? Anything can happen in the short term. Our STALKER source stated weeks ago that gold would be dead, or go lower, until the last four months of this year and then the move up would be “HUGE.” The price of gold was about $1600 at the time, so his call has been prescient thus far. The mindboggling silver open interest has had me “spooked” for some time. As you know, it is my opinion this is JP Morgan getting super short via offshore accounts … with the intention of wiping the longs out and then covering all they can of their long held short position. What can we say? Today is a nightmare, but no real surprise. This is just what The Gold Cartel has had in mind. The mindboggling rise in the silver open interest in tandem with the daily horrendous action in the gold/silver shares has had Gold Cartel/JPM written all over it for some time. Their nefarious plan is playing out. Subscribe to LeMetropoleCafe.com for the full article. Alf Field wrote that “Gold Confidence [is] Shaken” yesterday. A close friend of mine spoke to Ted Butler this morning. Butler says JPMorgan and the big Commercials have never been this long before. The small Commercials (the insiders) are going massively long too. It’s the technical hedge funds who are on the short side of the trades and eventually, they will be crushed – the big Commercials are always the winners in set ups like this. Certainly, JPMorgan and the other crooked commercials have bought super-aggressively in gold, silver, copper, platinum, palladium and crude oil on Friday and previously. It is clear that this buying has set the stage for the coming resolution to the upside. When, not if, that rally commences the question will be how aggressively the commercials sell and specifically, how much, if any, does JPMorgan add to silver short positions. Considering that JPMorgan and the commercials are now better positioned in gold, silver and copper for a significant price advance than at any time I can recall in the past, it would not be surprising for the coming upturn to develop into the big one in silver. My question is why now? Why did they engineer the takedown now? They can go after the “profit” anytime they wish. There must be a reason “why now?” I say the reason is POLITICAL. The timing suited the Fed NOW. People were getting worried after depositors started to lose confidence in the banks after the fiasco in Cyprus. If it could happen there, it could happen ANYWHERE. One way to slow the exodus of funds from the banks is to smash the price of gold, silver, platinum and palladium to discredit them as alternatives to the dollar, the euro and holding currency deposits in the banks. It’s very likely that the Fed was behind the timing and JPMorgan was all too willing to bank their profits and unload half of their shorts (since the highs a few months back) and position themselves on the long side of the trade. They will make a killing when the technical funds, who are now massively short, have to close out their positions. They will end up, as is usually the case, on the right side of the trade and the technical funds will get the “hair cut.” The real winners will be Russia and China and any of YOU who buy on this manufactured take down. You don’t have to catch the bottom perfectly, just stake out your claim in the game now, while the price “subsidy” is still in play. Below are some of the comments I received from Holter and Hoffman on Saturday. David, Gold and Silver don’t “need to be going up”…they “need” to be owned. Like I said in the earlier comment, it doesn’t matter what Gold is priced at…only whether or not you own some. There will be a time when no one, anywhere on the planet has a real, true knowledge of what one ounce of Gold is “valued” at because all markets are closed…the only thing known is whether you have any or not. THIS THIS THIS is what our customers need to understand! Stop thinking in terms of “Dollars” at exactly the wrong time. There are too many big-name writers in our industry who don’t even truly understand what “money” is. We are right, and for the right reasons. Our your own personal investments reflect our understanding of this. I was bummed out until just before the markets closed and …now I get it. This is game over in my opinion, who would be so crazy as to offer the Russians and Chinese metal at these prices? They screwed up plain and simple! As for “missing the boat,” we have done NOTHING OF THE SORT. We are not financial advisors. We sell bullion to PROTECT our clients against inflation; which by any objective means is at ALL TIME HIGHS everywhere, government manipulation of statistics or not. WE at Miles Franklin have simply stated the FACTS; and those PM-BULLISH facts are more so than at any time in our lifetimes. As are the Equity-BEARISH facts; but just as we can’t control a MANIACAL Cartel naked shorting gold, we can’t control a MANIACAL Fed buying Treasuries or a MANIACAL PPT buying stocks. We have diligently written EVERY DAY – for FREE – throughout this attack; and in my case, I am not only writing four to six hours a day, but spending additional hours – on evenings, weekends, and holidays alike – compiling data for my RANTS. Not to mention, I am doing roughly three podcasts each week – including a possible “emergency podcast” with SGT this weekend (if he gets back to me, as he asked me this afternoon and I said yes) and my regular Dave Janda radio show on Sunday. I am putting out more relevant, thought-provoking data – about gold, the world economy, and countless other topics – than ANYONE ON THE PLANET right now; and that is not a claim I make blithely. I see ZERO comparison between now and either the 1970s gold bull or the 1990s stock bull. We have officially entered the ERA OF EVIL; I wrote a piece last year titled “THEY WANT YOU DEAD;” and again, I didn’t say it blithely. This is ALL OUT WAR against PMs; but I believe 100% they WILL destroy themselves due to the PHYSICAL market overwhelming them. I have written this for years; and believe it more than ever today (especially after hearing how much business we apparently did, not to mention the EXPLODING junk silver premiums). Today I wrote a RANT about what I was thinking in 2002 (when I went all-in to the sector). Compared to then, I am VASTLY more bullish about PMs (or should I say, bearish about fiat currencies). So long as the government doesn’t shut down PM dealers, we will continue to gain market share – until there’s no more bullion left to sell!